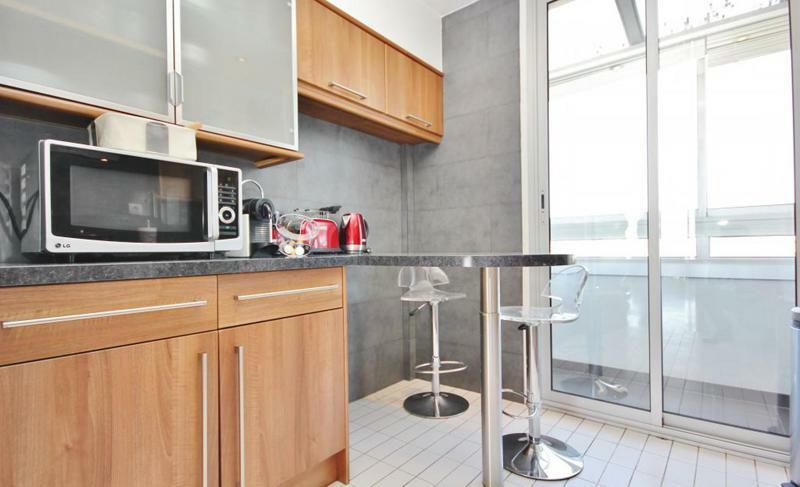 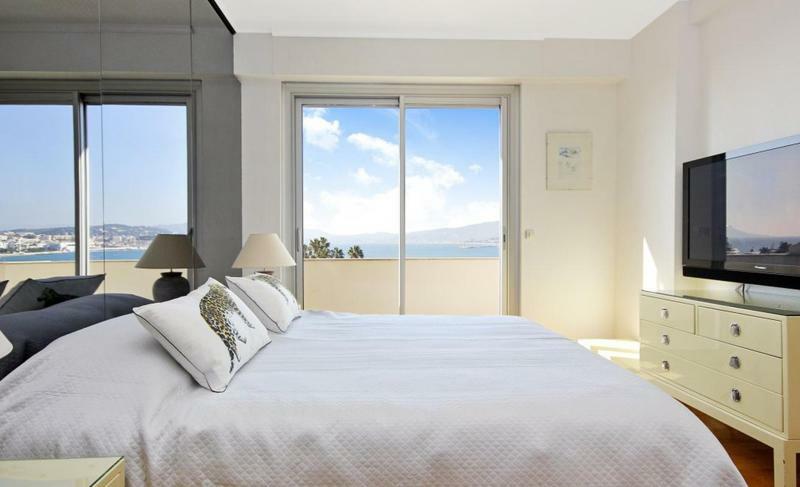 What could possibly be better than a Cannes sea facing penthouse on Boulevard de la Croisette? 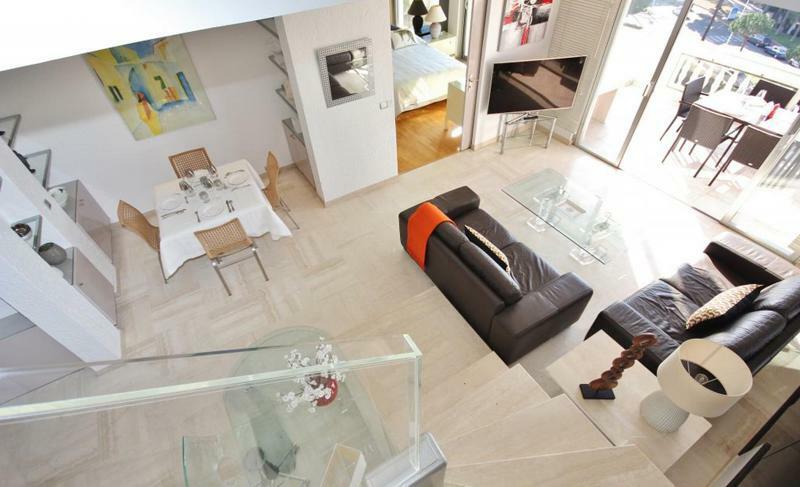 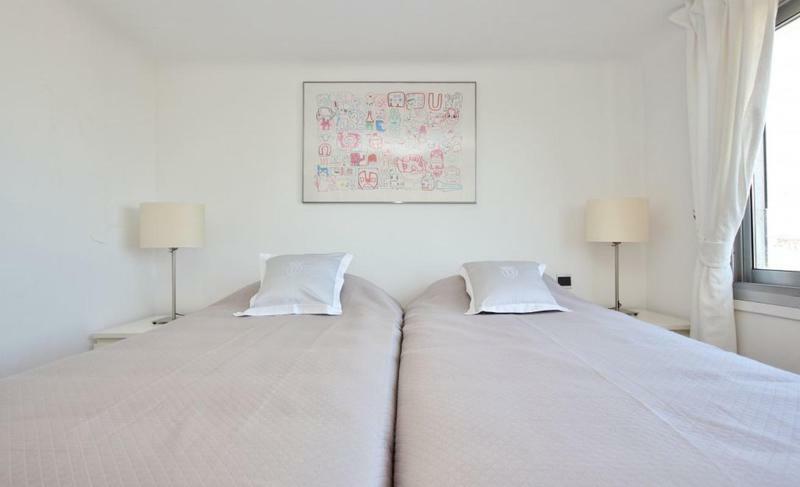 A Cannes sea facing DUPLEX penthouse on Boulevard de la Croisette that you and your group can rent during your next trip to Cannes for a conference or festival. 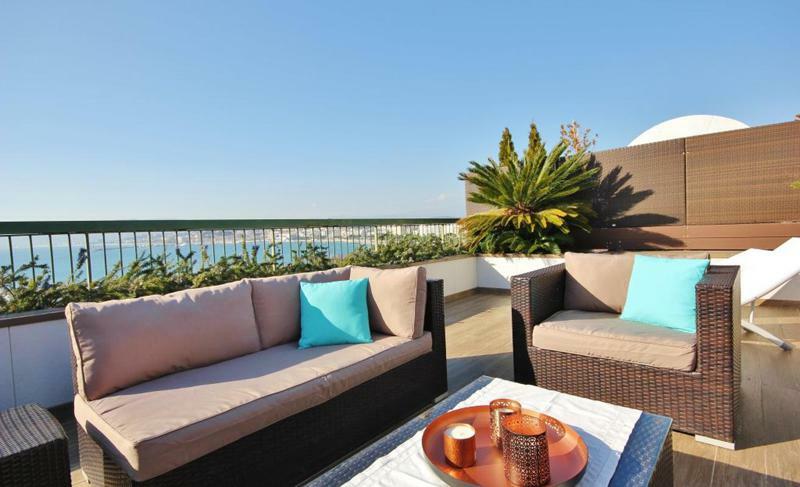 Breathtaking 180-degree views of the Mediterranean and the bay of Cannes from the terrace and the bedrooms guarantee an unforgettable stay in this Cannes group penthouse. 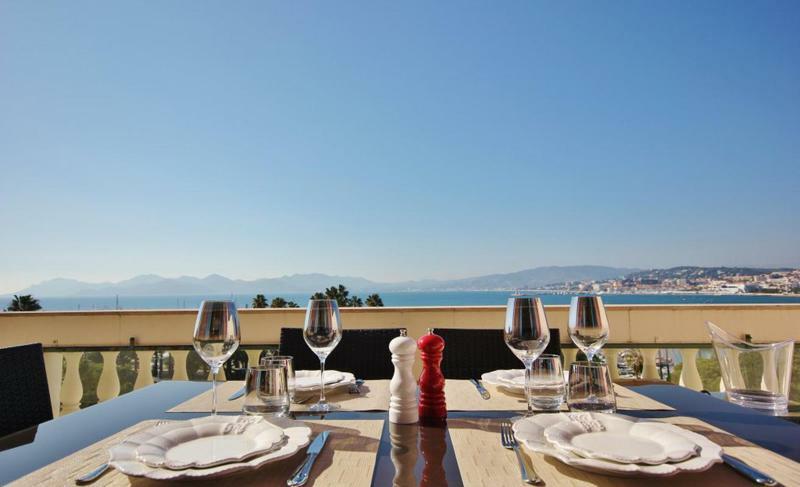 Sunset lovers – be prepared to witness the magic of the seductive Cannes sky from this penthouse as the sunset over the sea brings out the most captivating pattern of colours you’ll ever witness. 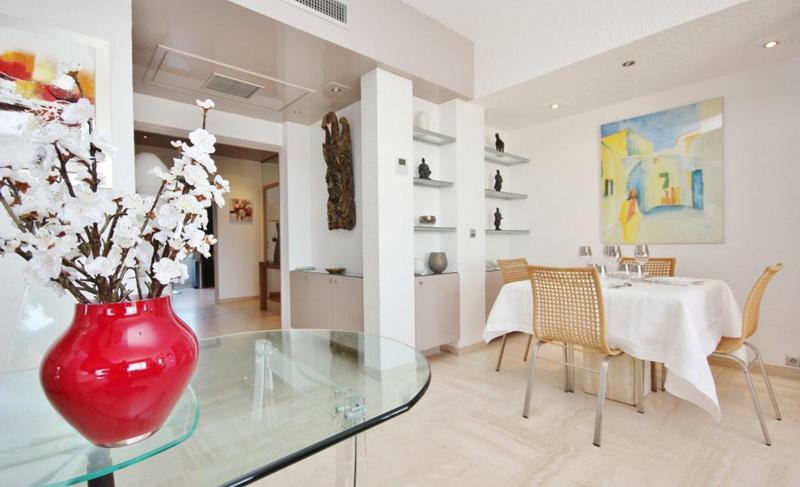 The terrace makes for a luxurious place to host a private VIP event that your guests will be honoured to attend. 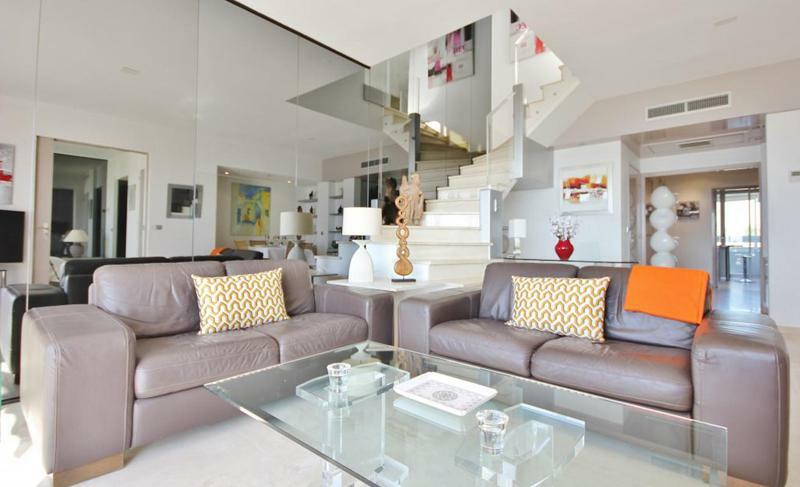 Whether you want to use this private Cannes penthouse for an intimate cocktail party, an exclusive dinner party for a few special guests, or even just a luxurious headquarters for you and your team, the choice is up to you. 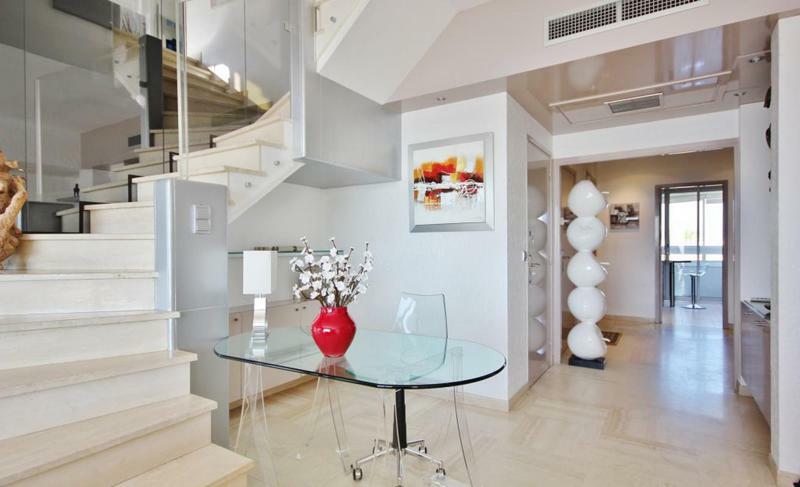 The grandly-styled first level is graced with a charming living room, a fully-equipped kitchen and a sweeping marble staircase that will take you to the second level of this penthouse. 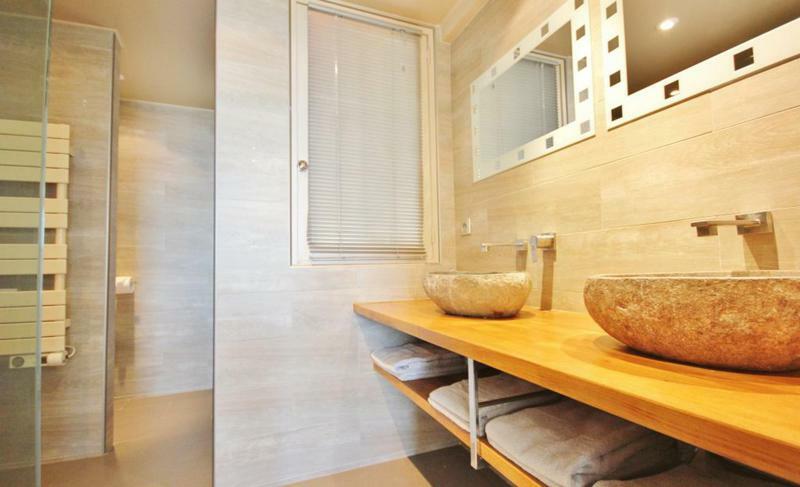 On the second floor, you'll be greeted by the 3 bedrooms, boasting a total of 5 beds in the apartment. 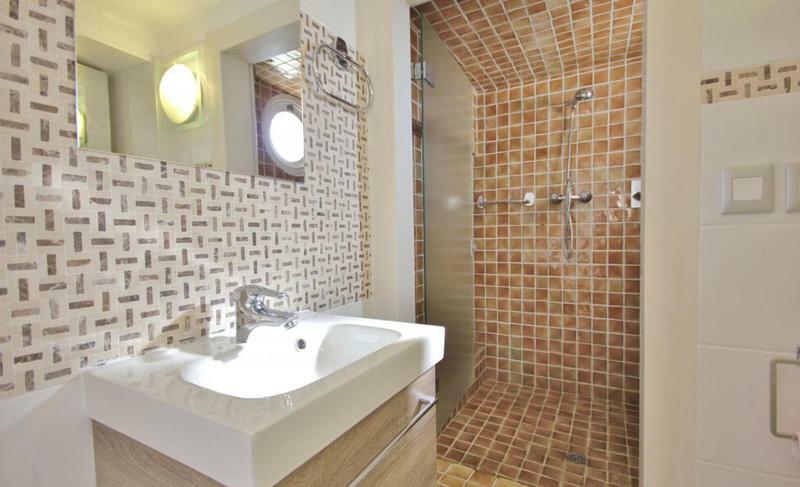 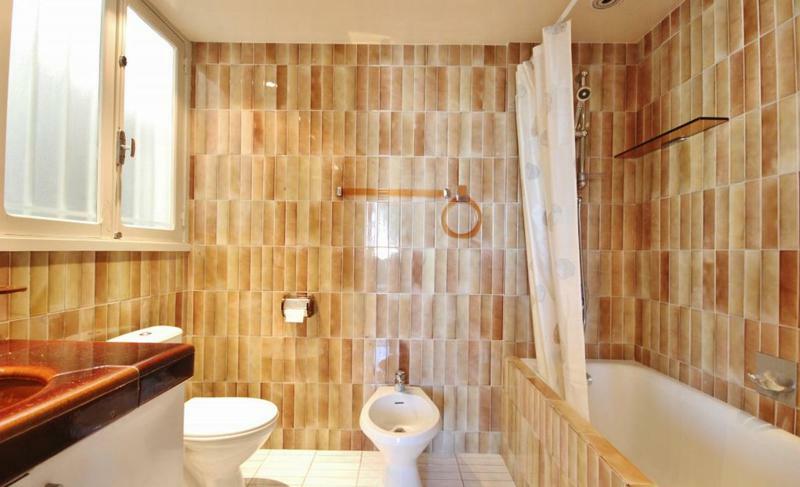 There are 3 bathrooms as well, 1 of which containing a bathtub, and the other 2 with modern showers. 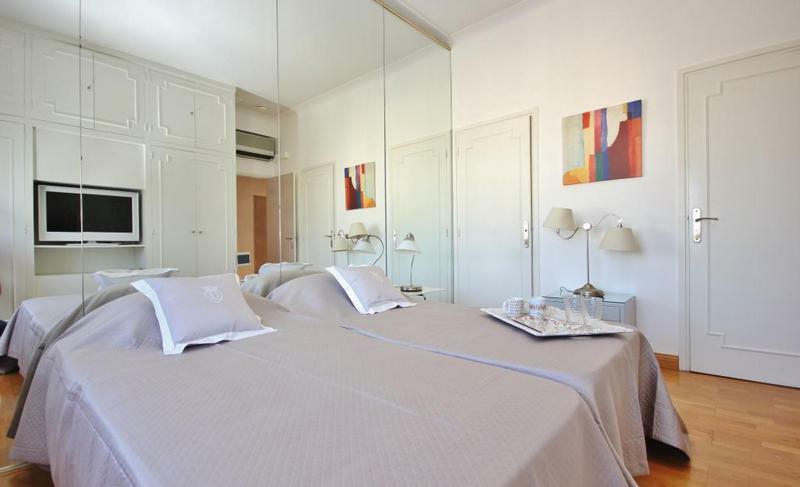 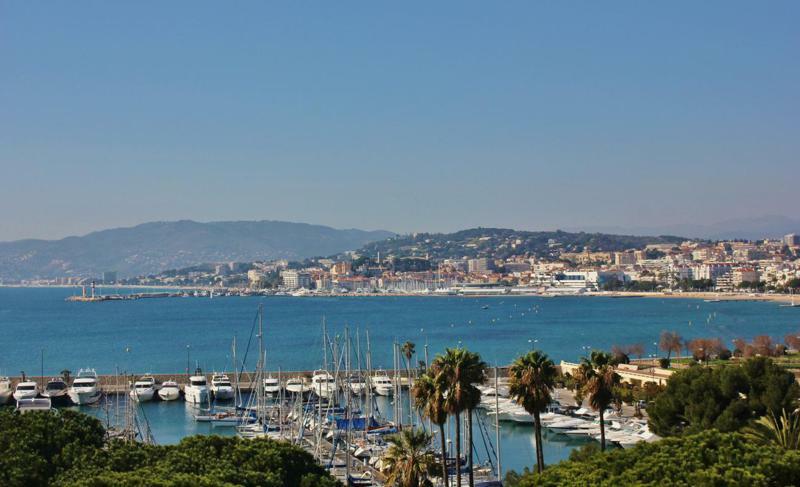 If you're looking to have your group stay in a penthouse on the Boulevard de la Croisette with views, sunsets that you can only dream of, and comfortable sleeping arrangements, book this Cannes rental penthouse!